1. These regulations are applicable to all Jiu-Jitsu tournaments for athletes with disabilities under auspices of the United States Ju-Jitsu Federation (USJJF) and will be known as “Competition Regulations for United States Para Jiu-Jitsu (USPJJ) athletes”. Tournaments are judged according to the competition regulations of USJJF augmented by the stipulations in these regulations. 2. All official directives, interpretations and changes by the USJJF National Referee Committee on the competition regulations are integrally adopted, unless otherwise decided by the USJJF National Referee Committee. 3. Specific competition instructions for tournaments covered by these regulations are included in the USPJJ Competition Regulations. 4. The USJJF manages the USPJJ Competition Regulations. 5. In all cases not covered by either the USPJJ Competition Regulations, the USJJF National Referee Committee is authorized to rule. 1. Matches under these regulations are directed by a referee with a valid USJJF Referee License. 2. A difference is made between Tachi-Waza (Begin Standing) matches, and Ne-Waza (Begin Sitting) matches. Matches performed in Ne-waza are directed as described in Section 4. 3. Divisions of Para Jiu-Jitsu are conducted in accordance with the USPJJ Competition Regulations of USJJF. 4. Matches under these regulations cannot end in Golden Score. Instead, decisions are made by Hantei. 5. In all cases during the match where the referee believes the safety of either Jiu-Jitsuka is at stake, the match will be interrupted and take any corrective measurement he/she deems necessary. The referee is also allowed to take punitive action but should keep in mind the intention of the offending jiu-jitsuka. 6. The competition point system, weight divisions, skill levels & times of matches for USPJJ Competition is the same as the USA JIU-JITSU (USAJJ) Competition Regulations for BJJ – Grappling. 1. In the case where one or both competitors have a visual impairment or is blind or has a disability that impairs the ability to take the sleeve & lapel grasp, the jiu-jitsuka will bow at about two yards apart. The attendant, coach or referee is allowed to support the jiu-jitsu. At the command of the referee, the jiu-jitsuka approach mat center and take the basic kumi-kata (sleeve & lapel grasp). They will not change position from that moment until the referee announces Hajime (Begin). 2. The jiu-jitsuka enter the contest area, where necessary supported by attendant, coach or referee. The jiu-jitsuka bow at about two yards apart, after which referee announces Hajime. If either jiu-jitsu has a visual impairment or is blind, the match starts in basic kumi-kata (sleeve & lapel grasp). 3. If either jiu-jitsuka cannot use one leg for support, this is also not allowed for the opponent. The referee will confirm this requirement before the match with the table jury. 4. If either jiu-jitsuka cannot perform the match in kneeling position, the jiu-jitsuka will start the match in a sitting position. In this case, the opponents sit next to each other, facing opposite directions and both take the basic sleeve & lapel grasp. 6. If either jiu-jitsuka cannot perform in a sitting position, both judoka will start lying down, facing each other, in basic kumi-kata (sleeve & lapel grasp). 1. Ne-waza matches are performed exclusively in Ne-waza because either jiu-jitsuka, because of a disability, cannot perform a match safely in Tachi-waza. 2. When applying for a tournament, the intention to perform in Ne-waza must be clearly stated. 3. A referee is authorized to change a Tachi-waza match into a Ne-waza match. The jiu-jitsuka that made this decision will then perform in Ne-waza for the remainder of the tournament. 4. Tilting techniques leading to Uke landing on his/her back will gain a score according to the USPJJ Competition Regulations of USJJF. Uke does not have to leave the mat surface for this. 5. Uke cannot score while being controlled in Osae-komi by his/her opponent. 1. To strike the opponent in any manner. 3. To put pressure on head, neck or throat of the opponent. 4. To hold around the head or neck of the opponent. While taking hold over the shoulder or collarbone, the hand may not pass the center line of the back. 5. In Ne-waza, it is not allowed to put pressure on either head or neck. In Osae-Komi situations where Tori is in Kesa-Gatame position, Tori is not allowed to put either hand or arm under head or neck of Uke. 6. Pushing opponent backwards while in kneeling position. 7. To immediately release grasp after Hajime during matches with a modified starting position. 8. In Ne-waza matches: Raising the knee to gain leverage when it is agreed beforehand that this is not allowed. 2. All actions that go against the spirit of Jiu-Jitsu will be penalized with Hansoku-make (Disqualification), to protect the jiu-jitsuka affected by the action or behavior. 3. The referee can consider the level, the disability, type and intention of the offense in his decision, as well as the intention, repetition, overall match image and safety while deciding on a penalty. 1. There is no limitation for the number of times the same injury may be treated. 2. If the referee deems it necessary for coach or attendant to treat an injury, these persons may enter the contest area. 1. Aids are considered all attributes outside the standard jiu-jitsu uniform as described in the USPJJ Competition Regulations. 2. 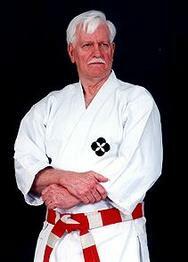 The uniform must be adjusted to the physical limitations of the jiu-jitsuka however must not be a hindrance for the opponent to perform Kumi-kata. 3. Wearing a shirt under the uniform is not allowed for men, however, is required for women. 4. Wearing a mouth guard is allowed, as described in the Competition Regulations is allowed for all age categories. 5. Aids must be safe for the wearer and the opponent, and cannot contain hard substances, to be decided at the discretion of the main referee. 6. Opponent may not be disadvantaged, nor may the wearer have an unreasonable advantage from the aid. 7. Glasses are not allowed. 1. Coaches and attendants must refrain from comments on the arbitration. 2. Coaching is only allowed during Match. Categories 2, 3, 4 and 5 may be supported by giving short instructions during the match, provided these remain moderate in volume.